Microsoft Azure provides a way to deploy Azure VM from the Marketplace or from a generalized image. When you deploy the Azure VM from the Marketplace, no customization is deployed. You have to configure the operating system as your master. When you have several Azure VMs to deploy, the customization of each system can be time consuming. A lot of companies have a master or a baseline image in a VMDK for VMWare, in a VHD(X) for Hyper-V or in a WIM image. In this topic we will see how to create a generalized image from a single Azure VM and how to deploy Azure VM from this generalized image. In the old portal (https://manage.windowsazure.com), all steps can be done from the GUI but also by using PowerShell. In the new portal (https://portal.azure.com), you have to use PowerShell because it is not yet integrated to the portal. In this topic, I will work from the new portal (AzureRM). In the below screenshot, you can see the deployed prerequisites in the TechCoffee resource group. The VM that will be generalized is called VM01. First the VM must be stopped from the Azure perspective to be deallocated. The VM can be marked as generalized only on an Azure VM with deallocated state. 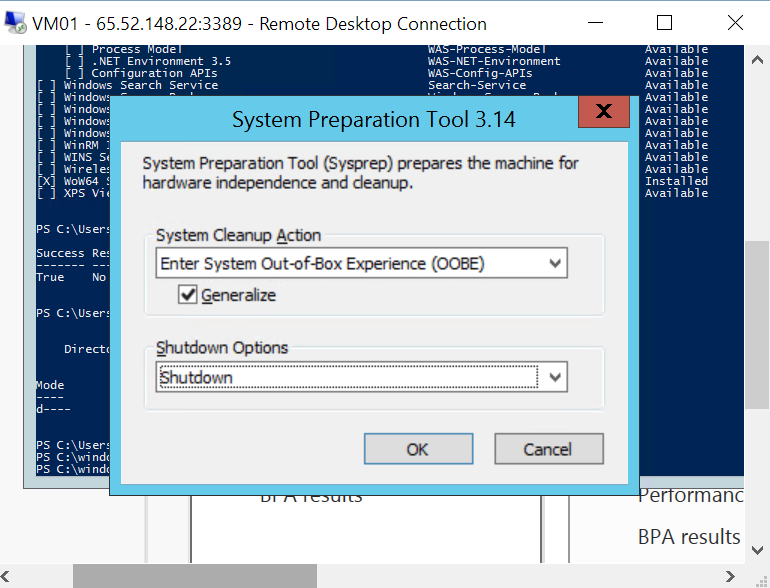 When the below command will be executed, the VM state will be changed from Stopped to Stopped (Deallocated). Once the above command is executed, you can see your VM Image in the storage account. $vmConfig = New-AzureRmVMConfig -VMName $vmName -VMSize "Standard_D2_v2"
#Configure the OS disk to be created from image (-CreateOption fromImage) and give the URL of the captured image VHD for the -SourceImageUri parameter. #We found this URL in the local JSON template in the previous sections. Once the VM is deployed, I check again if the customization is set in the VM. As you can see in the below screenshot, the c:\temp folder is created and the .NET 3.5 feature is installed. In Microsoft Azure, it is possible to create VMs from the same image to deploy several VMs with the same baseline. 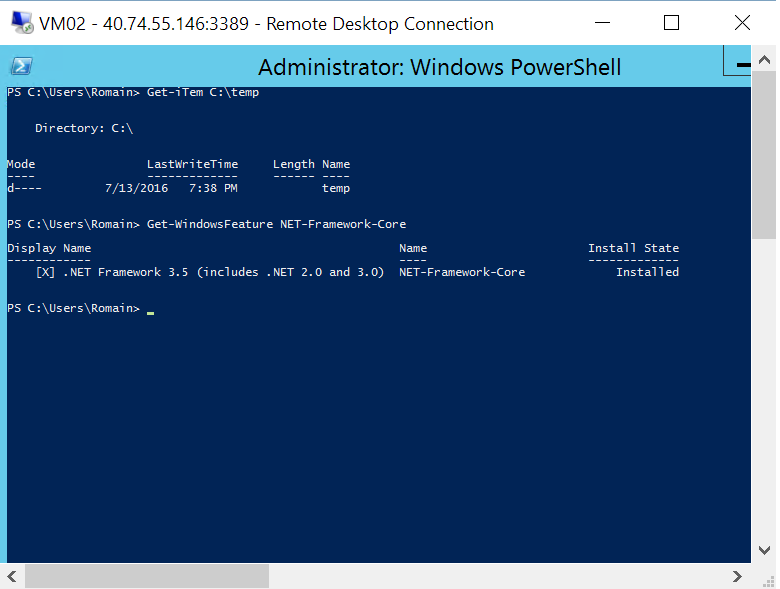 However, in the new portal, you have to use PowerShell and not the GUI to generate the VM Image and to deploy VM from the image. 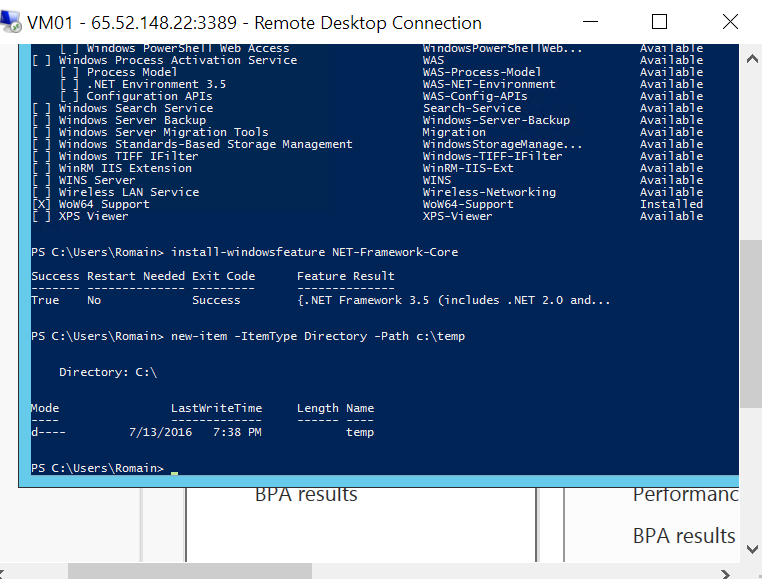 But it is great for automation: you can create with a block of PowerShell a lot of Azure VM. 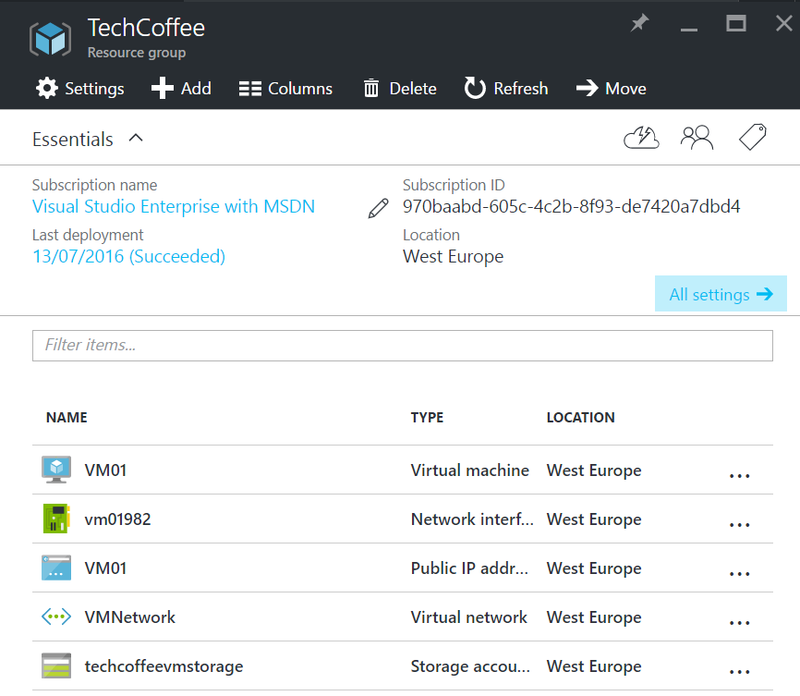 If you like also deploy resources with JSON, you can specify the VM Image URL to deploy the Azure VM.